What is the Windows multi-user mode? How to make a server out of ordinary PC? To do this, first, connect a monitor, keyboard, mouse, multimedia (sound device) to each workplacе. Then, install our multi-user "ASTER" program. Once configured, the computer will work as a networked PC consisting of required software and hardware. In this case, all the basic computer operations and functions that allow you to work independently of each other and simultaneously are implemented. 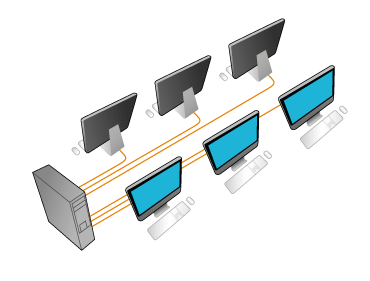 Windows multitasking technology allows each user to completely separate devices and dynamically share computer resources in such a way that there is no delay and performance on par with standalone PC. The multi-user system allows you to make full use of the computers capability by enhancing the multitasking capability of modern PC and OS. With ASTER your PC system can worked on by 1 to 12 users independently of each other and simultaneously. This allows you to fully utilize existing system resources, combining centralized management and sharing of resources by multiple users simultaneously and independently. ASTER works stably in the Windows XP/7/8/10 operating system and all the data is stored on same PC. At the same time, the cost of purchasing hardware is minimized (for example, it is not necessary to purchase additional system units and network devices); One system unit takes up little space and significantly reduces the initial investment while saving energy cost (12 users can work from just one system). This significantly reduces thermal and electromagnetic radiation. 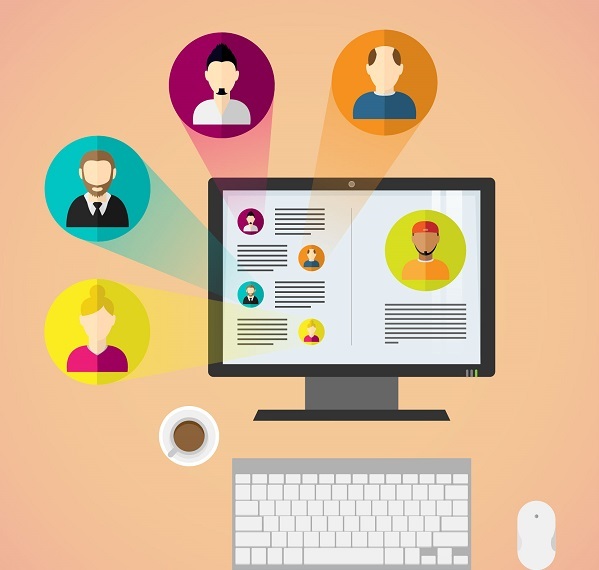 You can use multiple monitors, keyboards, and other peripherals from old computing devices, which significantly extends the life of input and output devices.